Luiz Amaral is an Associate Professor of Hispanic Linguistics who enjoys applying linguistics to address issues in second and bilingual language acquisition, language instruction, and the revitalization of native Brazilian languages. He is one of the co-directors of the Language Acquisition Research Center at UMass Amherst. Professor Amaral is originally from Rio de Janeiro, Brazil, where he finished his BA in Portuguese and French at the State University of Rio de Janeiro (UERJ) and his MA in Linguistics at PUC-Rio. He received his PhD in Hispanic Linguistics at The Ohio State University with a dissertation entitled “Designing Intelligent Language Tutoring Systems: integrating natural language processing technology into foreign language teaching practice," which focused on Computer Assisted Language Learning (CALL) and Natural Language Processing. His current work on native Brazilian languages focuses on the acquisition process by bilingual speakers, and the instruction of minority languages at indigenous schools. He is the leading consultant in a pilot project sponsored by UNESCO-Brazil and coordinated by ProDoclin to create pedagogical grammars for four Brazilian languages: Karaja (Jê), Kaiabi-Kawaiwete (Tupi), Ikpeng (Carib) and Wapichana (Arawak). He works closely with indigenous language teachers to support the design of language curricula for K-12. He is now starting two new projects with colleagues from Brazil and Mexico to disseminate the experience from the ProDoclin pedagogical grammar project. 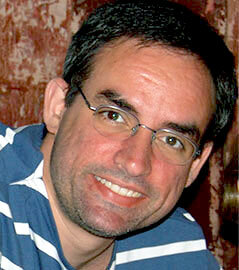 To learn more about Prof. Amaral’s work, please visit his webpage.